In the quiet of Provence, 3 star hotel Le Pré Saint Michel Manosque offers a getaway, relaxation and discovery. On your next trip to Provence, this 3-star hotel offers relax by the pool or on the terrace flooded by the sun. This 3 star hotel welcomes you in a typical Provence atmosphere and invites you to stay in one of its rooms decorated in country houses of the past. 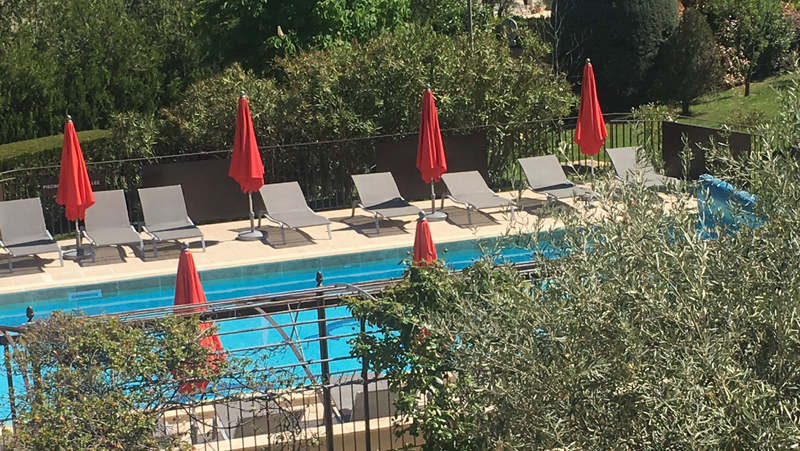 Enjoy the comfort of a 3 star hotel in Manosque and discover the magnificent landscapes of Provence for your next weekend or your next vacation. In the middle of unspoiled nature, the 3-star Le Pré Saint Michel, offers you to discover the scents and colors of Provence. For a charming stay with family or friends in Provence, stay in this hotel 3 star boutique in the heart of the natural park of the Verdon. This 3 star hotel welcomes you in a peaceful atmosphere amidst beautiful scenery for a relaxing and invigorating in the calm of Provence. Come smell the lavender fields of Provence and relax in this 3 star hotel for a memorable stay in the south of France. For a relaxing stay successful in Provence, 3 star hotel Le Pré Saint Michel is an ideal destination. This charming hotel invites you to relax by the pool and enjoy the terrace illuminated by the sun of Provence during your stay. The restaurant at this 3-star hotel invites you to discover a sunny kitchen with local flavors for a unique moment in the heart of Provence.